93 out of 100. Incorporating 2650+ ratings and reviews. Of the many Les Paul clones in the market, the Epiphone Les Paul Standard lets you get as close as possible to the original Gibson version, while keeping the price affordable. And thanks to technology and fierce competition, the quality gap between the two different models is getting smaller and smaller. Following the "Standard" formula, this guitar features a mahogany body with maple top, and a set-in mahogany neck with rosewood fingerboard, all of which give this guitar a familiar and elegant look. Slash, Jimmy Page, and Gary Moore are just a few of the many artists who prefer the dual humbucker setup of the Les Paul, and as expected, Epiphone did a good job of reproducing the tone without having to dig too deep into your pocket. Many of the customer reviews attest to the guitar's excellent sound and build quality, which for most reviewers are more than enough to satisfy, if not exceed, their expectations. There are a lot of comments about how good the guitar plays out-of-the-box, while others praise it for its reliable tuning. The guitar's tone also got a lot of thumbs up from users who commented that they are not planning to change the pickups. It should be noted that a good number of respondents spoke of the goldtop finish as their favorite. A few users report fret level issues, fret buzz, and other fret quality related concerns. Some users recommend adjusting the action and pickup height to get better results. 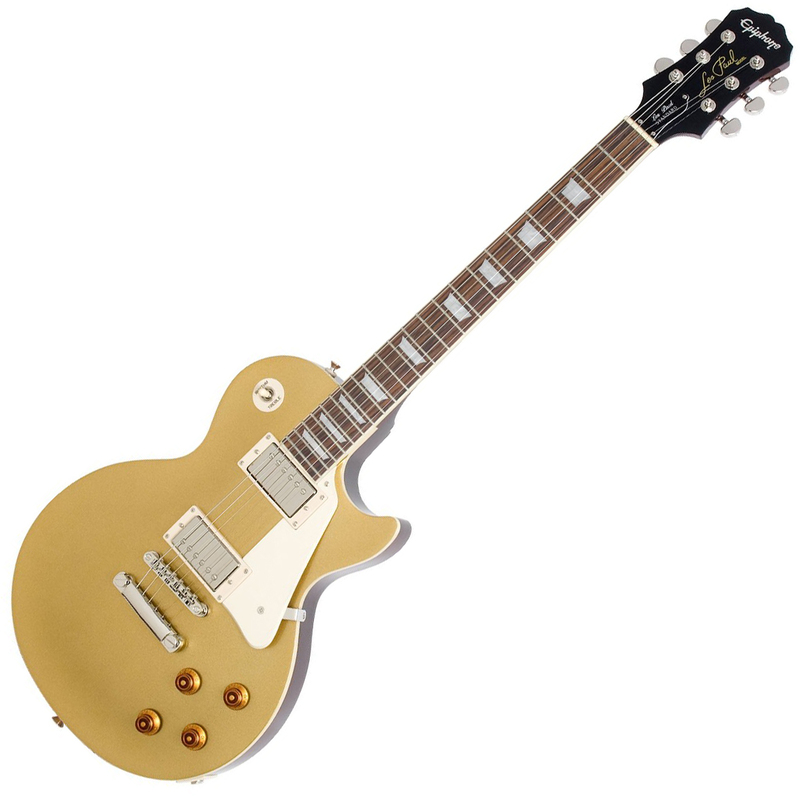 This is an easy recommendation for those who are looking for a straightforward Goldtop Les Paul that can be bought for a fraction of Gibson's pricing. The Epiphone Les Paul Standard was on our recommended list until we performed a detailed review of solidbody guitars between $200 and $500 in March 2019. At that time we found there were more highly rated options with humbucking pickups to recommend and you can find them in our guide to The Best Electric Guitars Under $500.